The following candidates are running for open positions on the ENY/ACRL Board. Ballots for positions with more than one candidate will be sent by email to all eligible members (i.e., current as of December 31, 2018). You will receive one email per contested position. Voting will be open through March 31, 2019. Camille Chesley has been a Reference Librarian and the Subject Librarian for Journalism at the University at Albany since 2016. 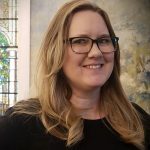 Previously, she worked at Syracuse University for 3 years as a Learning Commons Librarian, before taking a position as Reference and Instruction Librarian at the University of Montevallo in Alabama. She missed the snow and the Northeast and, right after seeing her first Palmetto bug, decided to move back to CNY. Camille has always had a soft spot for ENY/ACRL. She first joined in 2011, after moving to Syracuse. She presented her first poster at ENY/ACRL and enjoyed every ENY/ACRL conference she has attended since then. She has served as the chair of Government Relations Committee since 2017 and has thoroughly enjoyed the opportunity to dive into the backend of the organization and she hopes to continue to serve the organization in a new capacity. Camille has a BA from Oberlin College, where she studied East Asian Studies, Japanese and Politics, and a MS in Library and Information Science from the University of Illinois at Urbana-Champaign. She lives in Albany, where she enjoys coffee, road-tripping, baking, and (so many!) DIY projects. Her research interests include gaming and gamification in library instruction, information literacy assessment, critical librarianship, and diversity and inclusion in LIS. Wendy West is the head of the University Library’s Discovery Services Department at the University of Albany. She has worked at the University since 1987. Ms. West holds an M.L.S. from University at Albany and a B.A. in Anthropology from Franklin Pierce University. Her professional service experience includes program planning for American Library Association (ALA) annual preconference events in 2017 and 2018 and chairing the State University of New York Librarians Association’s (SUNYLA) 2014 annual conference. 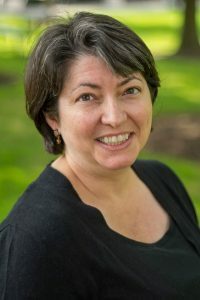 She is currently a member of the ALA Association for the Library Collection & Technical Services (ALCTS) Division’s Cataloging and Metadata Management Section (CaMMS) Membership Committee, the ALA Membership Meeting Committee (2019), and serves as a mentor in the ALCTS Mentoring Program. Kate Moss is the Head of Reference, Instruction, and Outreach at the College of Saint Rose in Albany NY. She has been a member of ENY/ACRL since 1996. She has previously served as ENY/ACRL membership chair and as vendor support for the program planning committee. 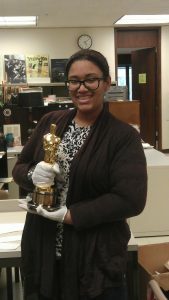 Currently, she is a director for the NYLA’s Academic and Special Libraries Section, and she founded and co-leads the Capital District Library Council’s Reference, Instruction and, Outreach bimonthly discussion forum. Kate lives in Albany with her husband, Dave, their son Dan, and their dog Venus. Angela Hackstadt is the Subject Librarian for Political Science, Public Policy, Public Administration and Law at the University at Albany, where she supports students and faculty in the Rockefeller College of Public Affairs and Policy. In this role, Angela assists students and faculty with research and navigating scholarly communications issues, provides reference service, and provides library instruction and outreach for her subject areas. She is currently a member of the Politics, Policy, and International Relations Section of ACRL where she serves on the Program Planning Committee and the Communication and Publications Committee. Prior to her position at University at Albany, Angela was a librarian at the University of Arkansas School of Law from 2013 to 2017, where she worked in technical services and co-taught a practical legal research course. This experience inspired her to teach non-legal scholars how to conduct legal research and planted the seed for her research interests in the politics of our food system. Angela brings a commitment to professionalism, social justice, and promoting information access. She would be delighted to represent the members of ENY/ACRL as the Government Relations Chair. Save the date for the Spring 2019 Conference, “Developing the Professional, Evolving our Profession,” with keynote speakers Emily Drabinski and Courtney Young. The conference will be held on Wednesday, May 22, 2019 at Mount Saint Mary College, Newburg, NY. 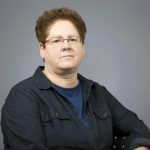 On Thursday, May 23, 2019, ENY/ACRL will host the ACRL Roadshow, Assessment in Action, with facilitator Lisa Hinchliffe, also at Mount Saint Mary College. The Spring 2019 Conference site will have information as it becomes available and registration will open at the end of January for these exciting events. In November, Denise Garofalo presented Online Security – It’s About More than Passwords. The webinar was recorded it and is now available from CLRC.